the mother and her infant, fast asleep as if nothing had happened. They had made it through the first 12 hours and, with caution, breathed a sigh of relief. The scare didn’t come until weeks later. The infant’s liver enzymes spiked, which in some cases can mean inflammation or damage to the liver. Mendell calls it “the most frightening moment” he’s ever had in his decades of gene therapy work. “What was going through my mind was we could be faced with another serious complication,” he says. It wasn’t, though. A spike in liver enzymes had cropped up in other gene therapy trials without disastrous results. Mendell called the FDA immediately, and instead of putting the study on ice or raising alarms, they agreed to change the trial design to give patients steroids before the gene therapy. The study continued without delay, and no serious side effects have emerged. As time went on, the babies started hitting milestones that, based on historical data, would likely never have happened: sitting up, rolling over, and in some cases, walking. Things haven’t gone south yet. The results from that first trial were so striking they were published in the New England Journal of Medicine in November 2017. They led Novartis to buy AveXis for $8.7 billion. And if Zolgensma gets to market—the FDA is supposed to decide in May—Nationwide would receive from Novartis single to low double-digit royalties on sales of what could be the priciest drug ever. A Novartis executive last year speculated it would be reasonable to charge $4 million to $5 million for a one-time dose. They’ve recreated the playbook elsewhere. Ed Kaye was Sarepta’s chief medical officer for four years from 2011 to 2015. He tried to license Zolgensma from Nationwide, to no avail. 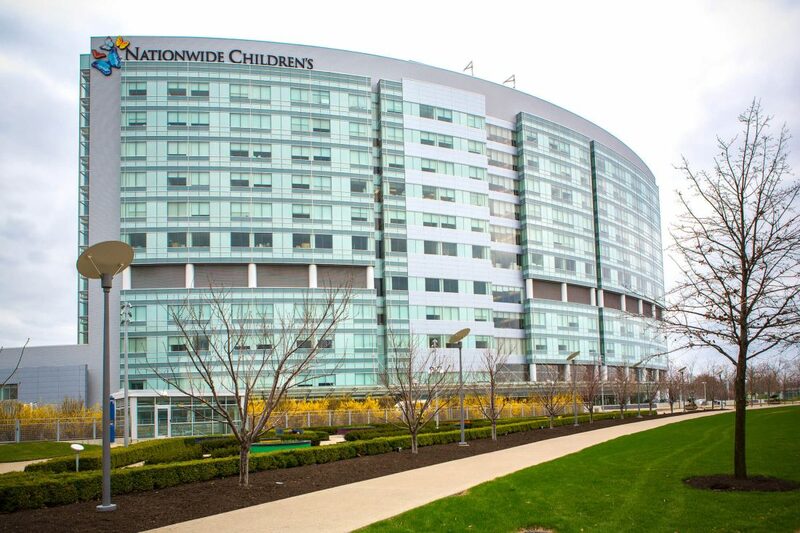 Nationwide also had two Duchenne gene therapy programs. Other academic centers had similar programs, but Kaye wasn’t interested. After he became Sarepta CEO, Kaye struck a deal for both Nationwide Duchenne gene therapies. Under Ingram, Kaye’s successor, Sarepta bought Nationwide spinout Myonexus Therapeutics in 2019, which is based on Rodino-Klapac’s work, gaining gene therapies for different forms of Limb-Girdle muscular dystrophy. Louise Rodino-Klapac is now the Senior VP of Gene Therapy at Sarepta. Sarepta then licensed Nationwide investigator Zarife Sahenk’s program for a form of Charcot-Marie Tooth, a degenerative genetic nerve disease. Like Zolgensma, all of those programs use a very high dose of AAV to deliver a genetic fix. All are now in human testing. None so far has caused serious safety problems. And Sarepta’s share price has hit an all-time high as the programs have advanced. “We dealt with other universities where that’s not the case,” Ingram added. Speed is also a differentiator, according to another deal partner. “I have never seen an [academic] organization move as fast and with such high quality of science, medicine, and manufacturing as Nationwide,” says Amicus CEO John Crowley, whose firm paid $100 million last year to buy Celenex, another Nationwide spinout, with 10 programs for rare disorders that Kaspar and colleague Kathrin Meyer had started. The hospital currently has five gene therapies in human trials and has filed a total of 18 applications for the FDA’s green light to start clinical testing. Abeona Therapeutics (NASDAQ: ABEO), Milo Biotechnology, and just last week, Audentes Therapeutics (NASDAQ: BOLD) have also licensed Nationwide programs. McFarland calls gene therapy a “blueprint” that Nationwide aims to recreate with newer cell therapy and regenerative medicine units. Another downside of success is losing the talent. Kaspar is the chief scientific officer of Novartis’s AveXis. Rodino-Klapac left to run Sarepta’s gene therapy division. Others could follow, which worries Kevin Flanigan, who replaced Mendell two years ago at the head of the gene therapy center. “We’ve lost good faculty,” he says. What about Mendell? Now in his 70s, he stopped leading the center to focus on research. He continues to see patients and run Nationwide’s gene therapy trials. He seems to revel in the fact that the biomedical world, so fixated on gene therapy now, is coming to Columbus. He and his colleagues have confounded the coastal elitist expectations. He tells of a recent phone call from a high-ranking East Coast scientist who wondered how he has been able to do all this while prestigious universities—the Harvards and Yales of the world—haven’t?